Although Ukraine is going through a political crisis that can be dangerous for expats all over the world, the chance of you getting sick in Ukraine is very low if you maintain good personal hygiene and observe proper nutrition. However, there is no denying the fact that these health risks exist and that all travelers should take the necessary precautions, especially since the country is experiencing an increase in armed conflict and bombings that has led to a lack of access to medical care in areas that are populated by rebels. In the past few years, outbreaks of cholera and H1N1 occurred. Although there is no grave threat to travelers at this time, it is always best for everyone traveling to Ukraine to have their immunization shots completed 4-8 weeks from the date of departure, and to have a H1N1 vaccine administered to you. 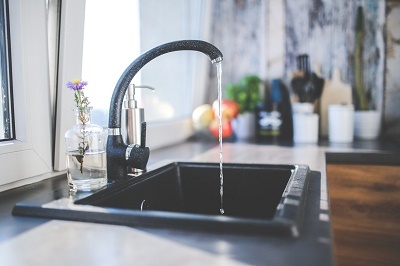 One surefire way of avoiding water-borne diseases like cholera and typhoid is to avoid drinking tap water, although tap water is safe in major cities. Make sure that it is boiled or filtered. It is best to drink bottled water. Wash fruits and vegetables thoroughly. Never eat cooked foods left standing at room temperature. Cooked foods left out for long periods can be a breeding site for germs and insects. Be conscious of proper hygiene and nutrition. A Lyme disease outbreak occurred in 2008 and 2009, an infection transmitted by tick-bites. Be careful when trekking in the forests by spraying insect repellents on clothes and skin. Before leaving your home country, make sure to secure international health insurance to cover your medical needs, complete your immunization shots, and have the contact information of doctors and hospitals in Ukraine. Given that Ukraine is going through a political crisis as well, international health insurance is something that every expat should consider getting in the event that emergency evacuations or other services are needed.